Matteo Uggeri graduated in Design at Politecnico di Milano and started playing in 1996 with the Der Einzige project, inspired by the industrial movement of the late 70s, which remains one of his reference points for the following years; in that context, however, he developed a growing interest for melody and field recordings. 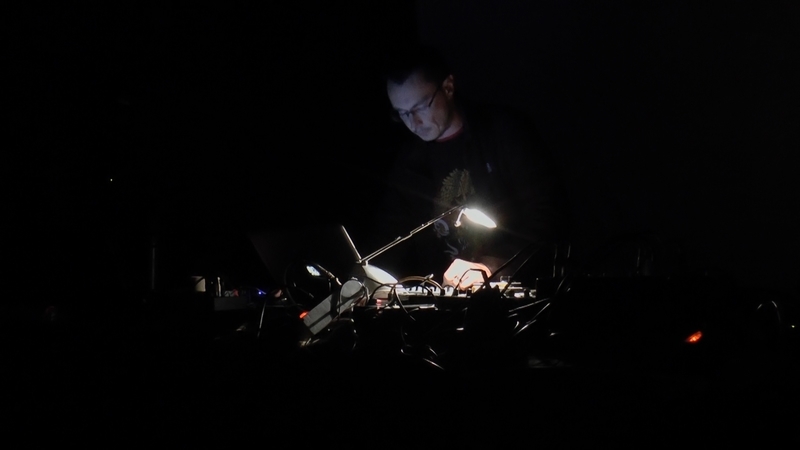 The collaborative component has been at the heart of his production; he has worked with Italian as well as foreign artists and constantly explored different musical languages, from dark ambient [Meerkat collective, that includes Luca Sigurtà, Punck, Logoplasm and Fabio Selvafiorita], to concrete music [with M.B. and Fhievel], to EBM [Telepherique], to kraut rock [De Fabriek], to electro-acoustic [Andrea Ferraris and Mujika Easel, with Luca Mauri and Francesco Giannico] to folk [Bob Corn]. Only two solo works have been released: “Four Steps on Points” on Fluid Audio, in 2013, and “Untitled Winter”, on Scissor Tails (2014), records in which the acoustic component becomes more important [note: until the activation of the Barnacles moniker you came here for]. “Bored of working for years on microsounds, crick & crocks, drones and field recordings, Matteo Uggeri launches a new project based on field recordings, drones, crick and crocks, microsounds and ignorant beats. Each of the four tracks of One Single Sound is then built using only 1 drone, 1 field recording, 1 sampled drumbeat. Then a lot of effects. Inspired by the letters of Charles Robert Darwin to William Darwin Fox. “I am at work on the second vol. of the Cirripedia, of which creatures I am wonderfully tired: I hate a Barnacle as no man ever did before, not even a Sailor in a slow-sailing ship. My first vol. is out: the only part worth looking at is on the sexes of Ibla & Scalpellum; I hope by next summer to have done with my tedious work” [via]. One Single Sound was released on Boring Machines, and it’s also available on tape through Non Piangere Dischi. Check the new video playlist on our Youtube Channel shot at Techno Kultur 3.0 – Day 1 featuring Skag Arcade & meanwhile.in.texas, H!U, Stromboli, Noumeno and Diving in OSC; if you’re filled up by curiosity here’s the link! One Single Sound was also included in our RECOMMENDED#3: 55 selected records to tune into 2017 [January – April]; take a peek! paynomindtous‘ co-founder & graphic designer, Cristina Ruggieri [1993, Alba, Italy] is currently studying sculpture at Accademia di Belle Arti in Turin, city where she lives. Beside messing around with materials and shaping stuff, she’s passionate about the overall listening experience, whether is it live or in her bedroom filled of stuffed animals.